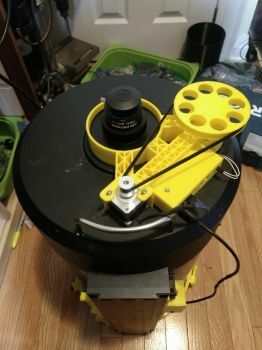 Beefocused is an Open Source Hardware/ Software Telescope Focuser The goal of the project is to create a high quality DIY focuser that's relatively easy to build and modify. It is fully open sourced. 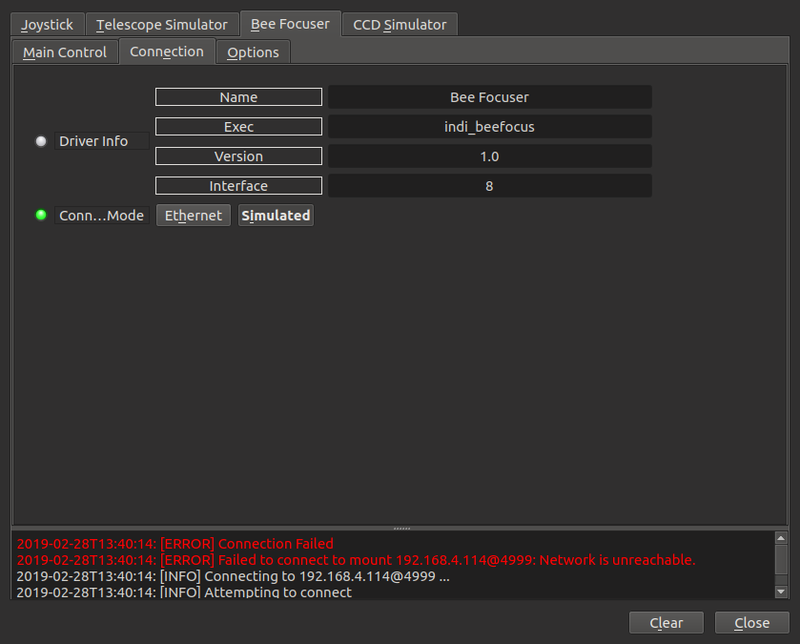 Beefocused talks to the INDI computer using WiFi. 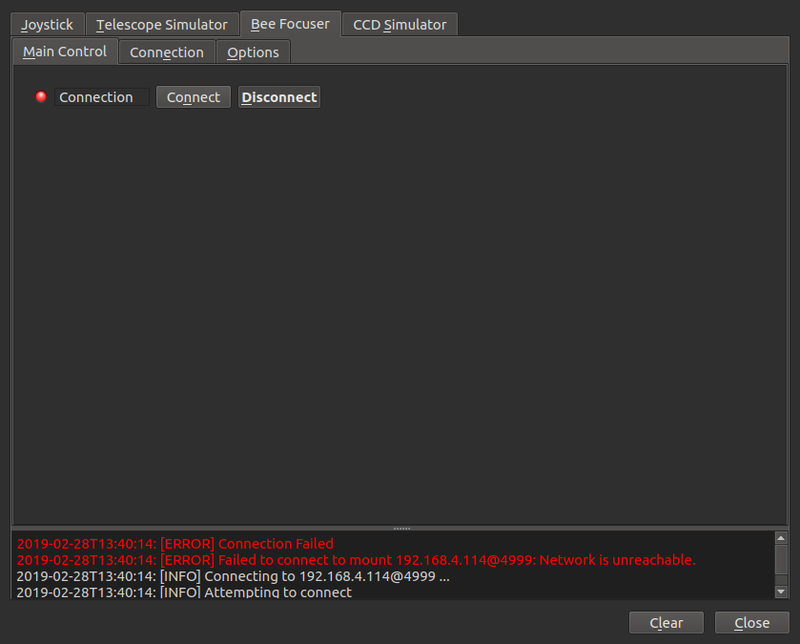 This is nice because it means there's one less wire on the telescope to worry about. It does mean that the telescope needs a WiFi hotspot, but that's becoming more common now that people are running telescopes from compute sticks and Raspberry Pis that are mounted directly onto the scope. The default built uses a Nema 14 Stepper motor for positioning - these motors are widely used by 3D printers. The Motor's step rate is 1.8 degrees (200 steps / rotation), so it's reasonably accurate. The electronic parts for a Beefocused will cost you about $25 on eBay. That includes the Nema 14 Stepper Motor. 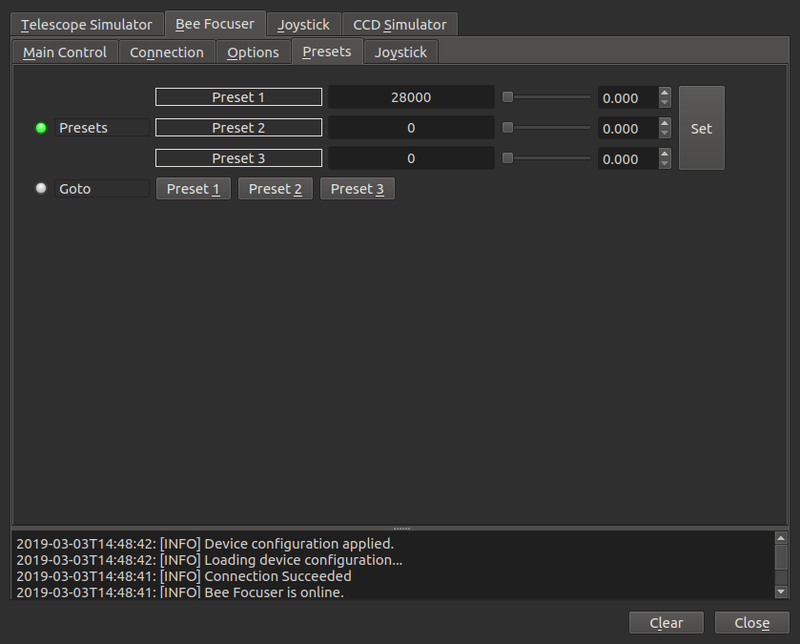 Beefocus focusers operate as either Absolute or Relative focusers, depending on the build. The focuser supports either automatic homing at start up or manual syncing. You'll need to go to the Main focuser menu and "connect" to the Simulated Focuser, the way you'd connect to an actual focuser. You can start moving the simulated focuser by pressing the Absolute Position Set Button. The Focuser Status message box will change from Ready to Moving, and the Absolute Position of the focuser will begin changing. 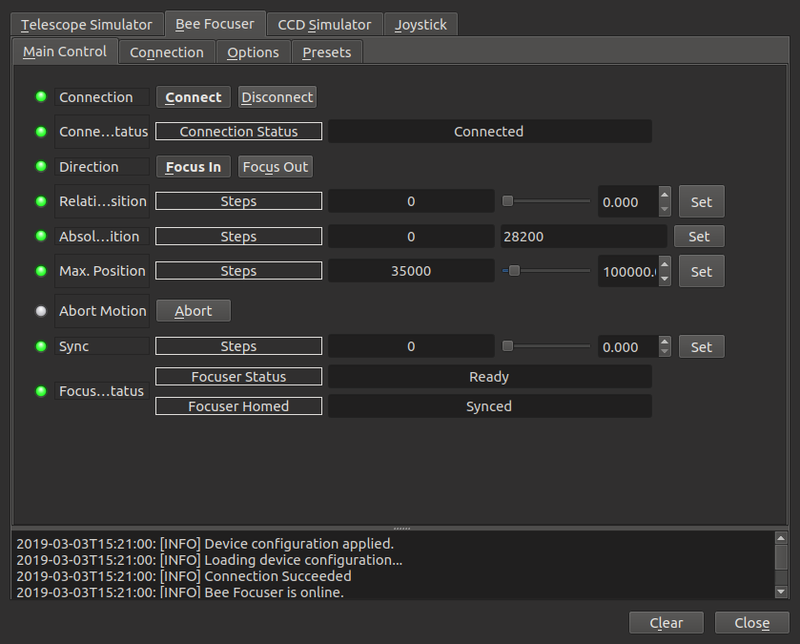 If the focuser's hardware supports a home switch the focuser will automatically move to it's home, or zero position, the first time INDI connects. The sync switch can also be used to set the Focuser's current absolute position. In this example the Sync switch is used to reset the absolute position to 2000. The focuser can move relative to it's current position. In this mode the user changes the Relative Position field number to the number of positions they want the focuser to move (2000 in this example) and presses set. Pressing Set again will cause the focuser to move again. The Focus In and Focus Out buttons control the direction of relative movements. In the last example the Focus Out switch was active. 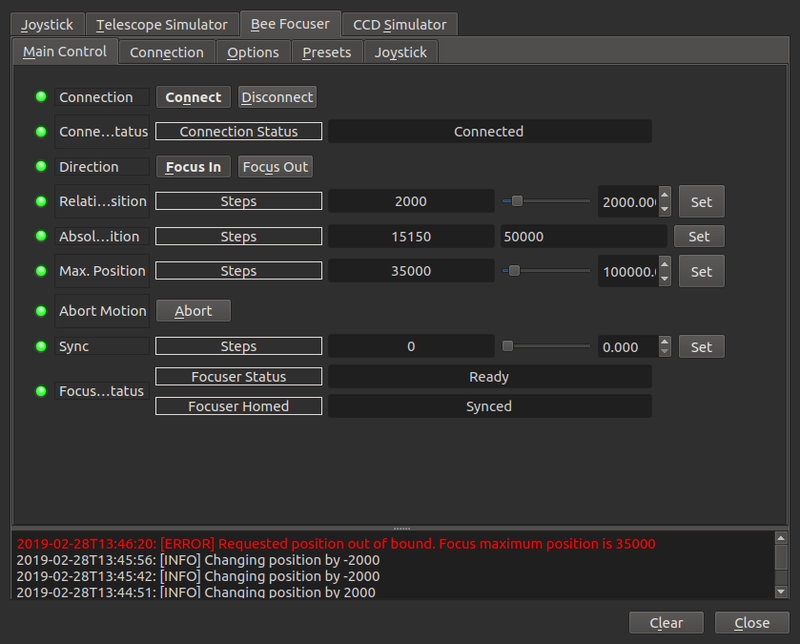 In the example the Focus In switch was active and then the Relative Position Set button was pressed twice. The Focuser moved by -2000 each time. 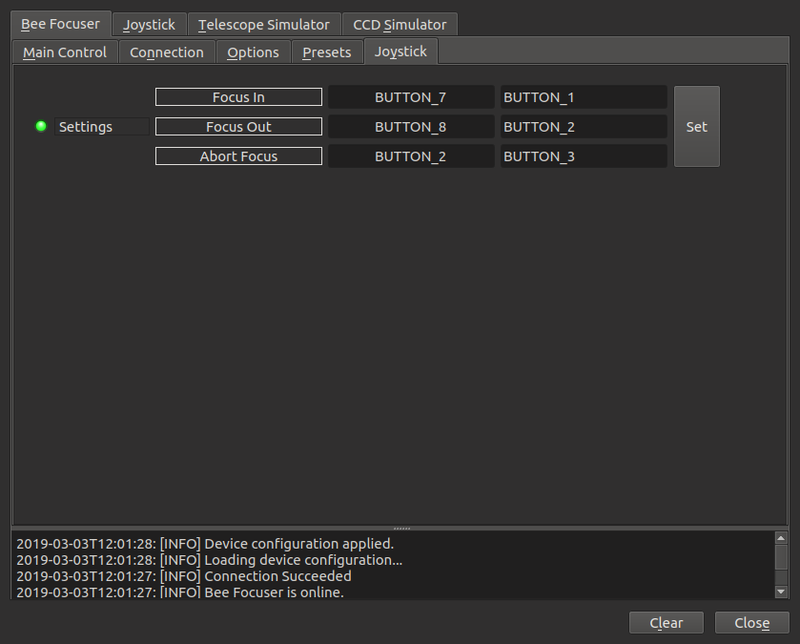 And set-up the Joystick Buttons in the Joystick TAB. I used the bottom buttons on my game controller to focus in and out (BUTTON_7 and BUTTON_8), and the "A" button to Abort (BUTTON_2). 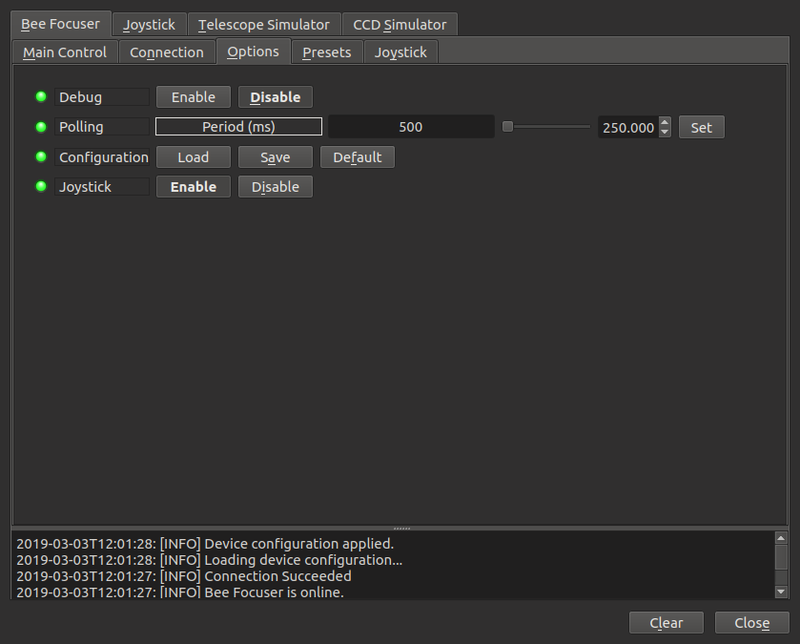 I know that absolute position 28000 is close to my telescope's focal point, so I've added a 28000 entry to the Presets tab. 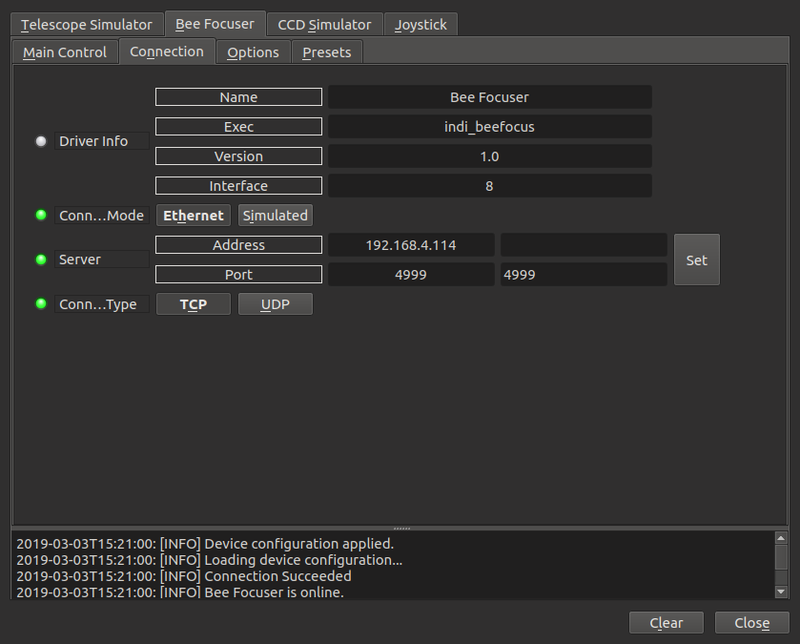 To connect to the actual focuser, switch the connection type to ethernet and enter the address of the focuser. The port is always 4999. The main control tab of the actual focuser and simulated focuser are the same.